As part of the Holidays, Hounds, and Hot Buys Giveaway, Ruffwear sent us their Fernie fleece jacket to review. I received this item free of charge. All opinions are my own and do not represent the opinions of Ruffwear or my fellow blogger co-hosts. As a knitter and cold weather accessory designer by day, I love bundling up for sweater weather! Of course, I can’t exclude Henry from the fun: since he’s originally from Arkansas and has a short coat on his little body, he’s not exactly a fan of cold weather. I’m always adding to his coat, sweater, and jacket collection, so I was very excited to review Ruffwear’s Fernie Sweater Knit Fleece. Despite Henry’s extensive outwear arsenal, I find myself frequently grabbing his Fernie for walks. Keep reading to learn why we love it so much! Advanced sweater-knit fabric offers the look of a sweater with a fleece interior, offering the warmth and performance of a fleece jacket. 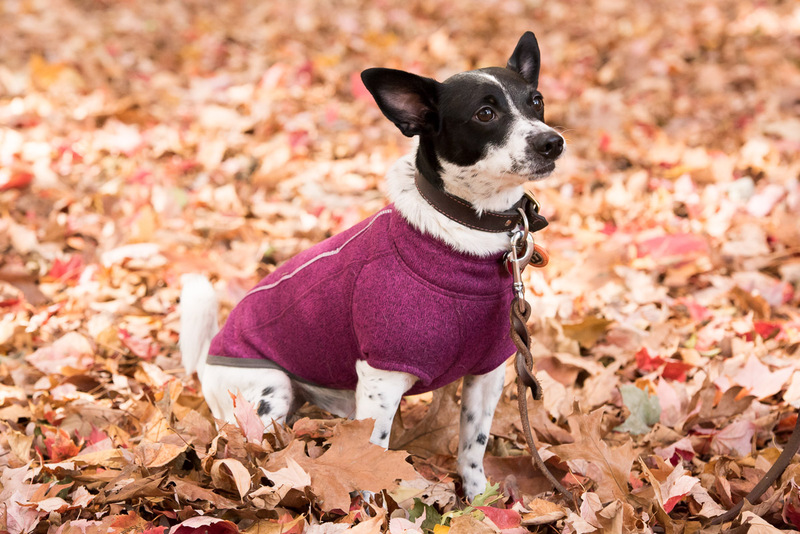 This sweater can be worn alone, or layered underneath other Ruffwear coats for additional warmth. Our “Sleeved” style jacket provides full coverage for maximum warmth. A convenient zipper on the left side of the jacket allows for a high-performance fit. The Fernie is made from a polyester fabric with knit on one side, and a soft fleece on the other. The jacket is machine washable, available in six sixes from XXS to XL (Henry is an XS), and retails for $59.95. The fine-gauge knit paired with a mid-weight fleece creates a cozy yet sleek and unobtrusive layer. I was hoping to find a jacket that Henry can wear on winter runs — one that isn’t too heavy but keeps him warm. The Fernie is perfect! Henry looks like a little triathlete! My boyfriend has a pullover from Patagonia that is very similar, but a different color. One of these days — SHH! Don’t tell them! — I’m going to get a photo of the two of them in their coordinating sweaters. Cutest thing ever? Cutest thing ever. The Fernie fits Henry to a tee, without any extra bulk or fabric. The side zipper makes it super easy to both put on and remove the Fernie, with speed befitting a jacket with such a sporty and sleek look! The Fernie is very well-made, with sturdy stitching and quality materials. It also boasts some lovely practical details, such as the reflective stripes that run down Henry’s back. I fully expect the Fernie to last several years, and, although Henry and I are not intensely active, I’m convinced it would weather years of hiking and camping with ease. Plus, Ruffwear has a Trail Tester Promise and a guarantee that covers defects in materials and craftsmanship. We are absolutely in love with Ruffwear’s Fernie, but we had one tiny snag: Henry is a bit of a weirdo about his feet and doesn’t like sticking them into holes or having them touched. 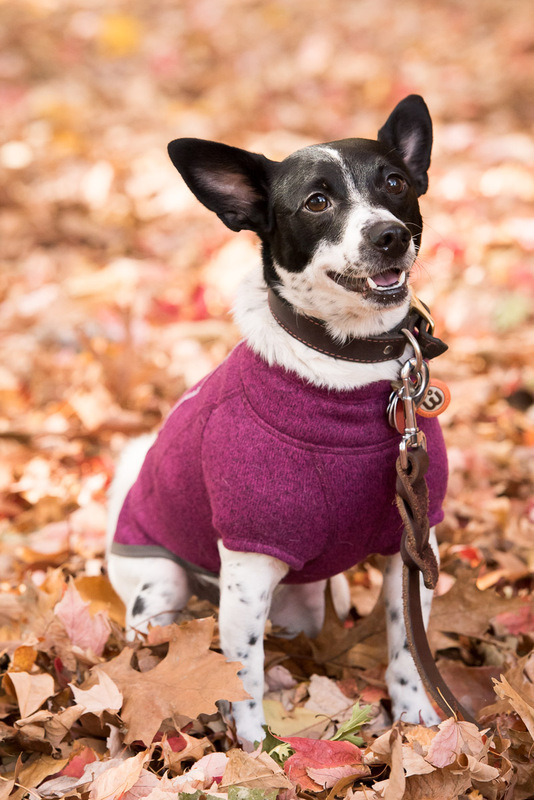 Because the jacket zips on the side, your dog’s front legs are inserted into two round openings at the front. For any other dog, this isn’t an issue at all, but because Henry is extra sensitive about his feet, it initially posed a bit of a challenge. However, this situation simply presented the perfect opportunity to work on a little bit of positive-reinforcement counter conditioning, and Henry adjusted quickly. Maybe he just loves his Fernie that much! 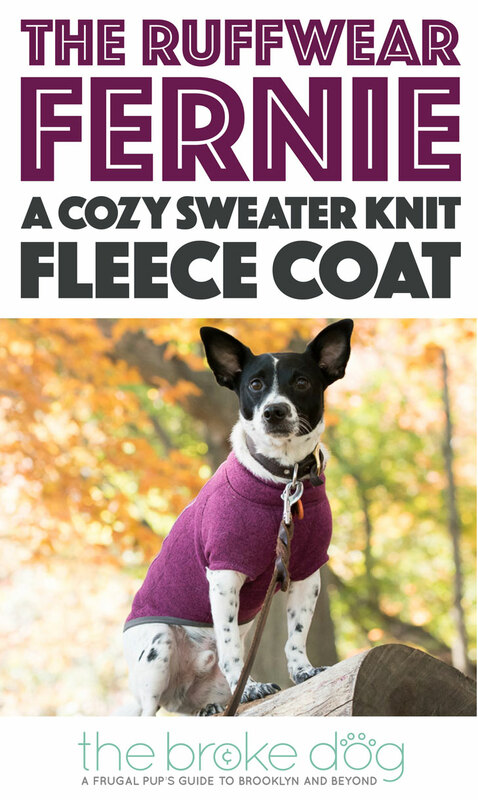 The Fernie is a great choice if you’re looking for a cozy, well-made technical performance coat for your dog. With Ruffwear’s Trail Tested Promise and beautiful quality materials, you can feel good making this purchase — just be aware of potential problems if you dog is weird about his or her feet. The Fernie is only one of many exciting products available from Ruffwear, so head over to their website to check it out! Want to win some other great products from Ruffwear? Check out our Holidays, Hounds, and Hot Buys Gift Guide Giveaway running through December 9th, 2016! Visit each co-host’s blog to increase your chances to win! The Ruffwear Fernie sounds great! Looks very warm and I love the color on Henry!